PENSACOLA, FLA - The Home Designer Collection of eclectic decorative glass windows marks its first anniversary in August. Available from Hy-Lite, the impressive privacy windows inspired by designers across the country come in four unique styles: Metro, Mission, Prairie and Baroque. "Builders and homeowners across the nation have really embraced these designer windows during the past year," says Roger Murphy, president of Hy-Lite, a U.S. Block Windows Company. "The top selling style is the Prairie window in a 4' x 4' size. We believe the Prairie windows are so popular because they easily complement other Prairie style clear glass windows used in the home --- except these provide privacy. "Not surprisingly, the unique design of the Baroque window makes it the second most popular style we're selling in the collection. Inspired by classic and modern tiles, the Baroque window is dramatic and memorable in any setting." Murphy reports that, while the Home Designer Collection windows are available in a multitude of sizes, the large 4' x 4' size has been the best seller in the past year. As indicators of the collection's success, he says strong sales of the privacy windows can be found at Professional Builders Supply in N.C., Contractors Millwork in Miss., and at Builders FirstSource in Texas. Other distributors finding demand for the windows include Lansing Building Products in Va., Magnolia Windows in Ga., and MPC Cashway Lumber in Mich.
For all four of the windows, privacy and safety is built into the windows with tempered safety glass on the exterior. Hy-Lite, a U.S. Block Windows Company, is the leading manufacturer of acrylic block, glass block and decorative glass windows. The company's privacy product options include acrylic block shutters, accent panels, radius walls, partition walls and door inserts. 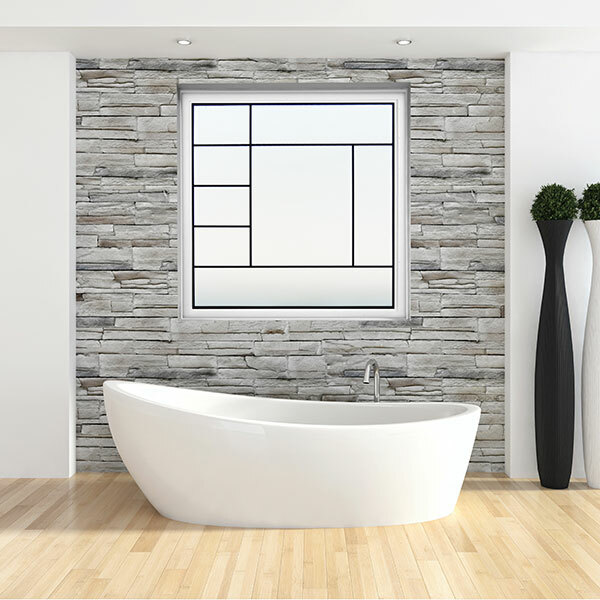 Since 1988, the Pensacola, Florida-based company has been committed to providing residential and commercial construction professionals and homeowners with elegant, affordable privacy window designs.